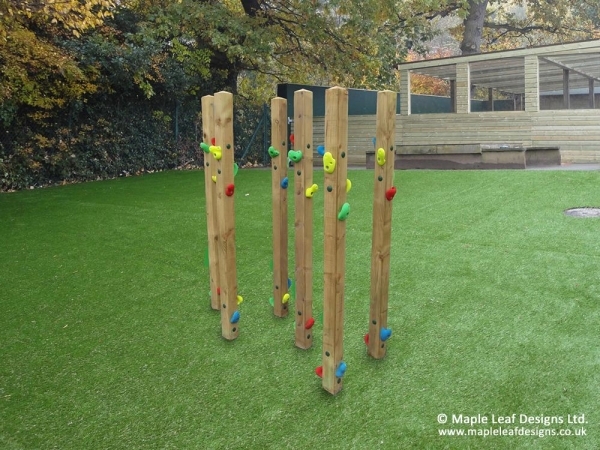 Traverse Poles - Trim Trail Items | Maple Leaf Designs Ltd.
Our Traverse Poles are a great way to introduce lateral thinking and problem solving to your playground trim trail as the children work to find the best route to traverse from one side of the course to the other. This offers all of the challenges of a climbing experience without the inherent height risk. Two runs of multi-coloured climb grips.